Sir Alfred has a terrible secret. A secret that should never ever be kept. But who will poor little Sir Alfred tell? Who can he trust? Remember, some secrets should never ever be kept. 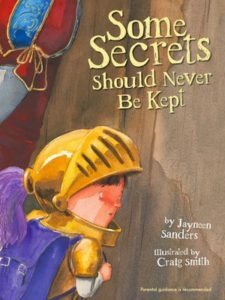 This book was written to provide children with essential skills in self-protection, and to encourage them to always speak up. We recommend that children be read this story by a parent or caregiver.